We can’t get out of life alive. 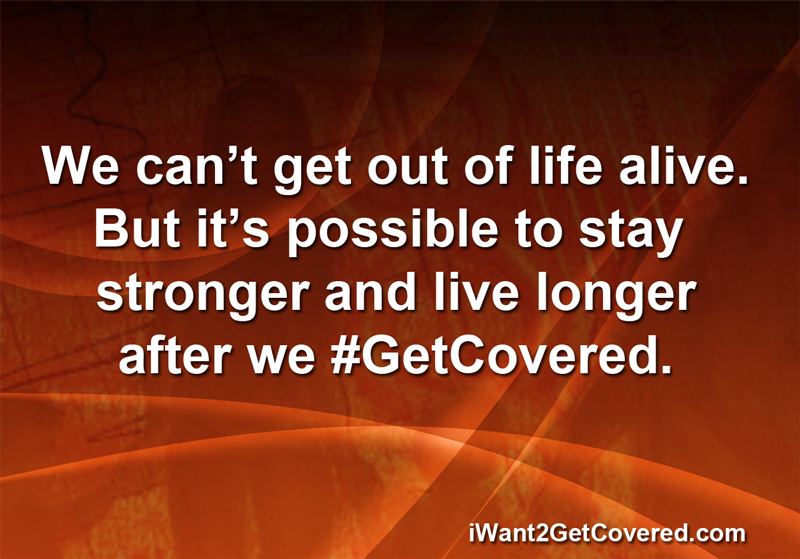 But it’s possible to stay stronger and live longer after we #GetCovered. For the past five years the Burlington Housing Authority, in partnership with Truliant Federal Credit Union, has offered REAL entrepreneurship courses to their clients. Through this program Burlington residents in low-income housing have had the opportunity to learn about entrepreneurship and develop their business ideas. Winston-Salem based REAL Facilitator, Michelle Serrano-Mills, led many of the courses. While this program has been very beneficial to this point, Burlington Housing Authority special project administrator, Patricia Gilliam, had a greater vision for the future. She was awarded an Americorps Grant to replicate the program throughout the Piedmont, from Wake to Davidson Counties. Patricia, also a REAL facilitator, and Michelle took elements of what worked well in Burlington to create a series of professional development opportunities for new Americorps members. A central part of their plan was to create a specialized REAL Institute. Along with REAL associate director, Malinda Todd, they engaged Americorps members in a series of workshops this winter to certify them as REAL facilitators who will bring entrepreneurship education to communities throughout the region. Michelle Serrano-Mills, played a key role in this effort. Because of her experience with facilitating classes at the Burlington Housing Authority she was able to help NC REAL develop and deliver a REAL Institute that will meet the unique needs of other housing authorities. Two of the participants had attended her REAL classes previously and saw firsthand how it worked. Because of Serrano-Mills’ dedication to the entrepreneurship work of Burlington Housing Authority, she has offered to assist the new REAL facilitators as they begin to offer classes throughout the state. She is a wonderful example of how a trained facilitator with a big heart can make a REAL difference in a community. There are 3 reasons why the rich don’t give more? A new study of multi-millionaires provides some insights. A study, by SEI Private Wealth Management, reports that 82 percent of wealthy families believe that having more money means you have a greater obligation to be philanthropic. However, those survey with a net worth over $10 million listed three main reasons for not giving more. Second, they said they would give more if the markets improved. With an improving stock market and a recovering economy there could be greater opportunities for organizations to connect with affluent donors who believe in your mission and work.